A Hull facilities company is creating jobs and training opportunities for young people with learning disabilities after joining forces with a specialist charity. 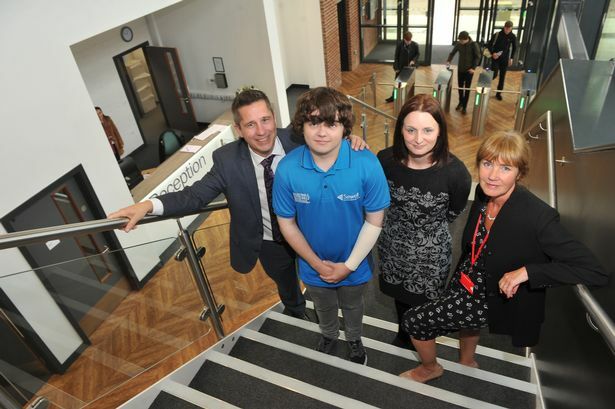 Sewell Facilities Management has already employed young people from the Hull branch of national charity Mencap, and has helped people like Josh Thomas, 21, gain full and part-time cleaning jobs in offices and schools. 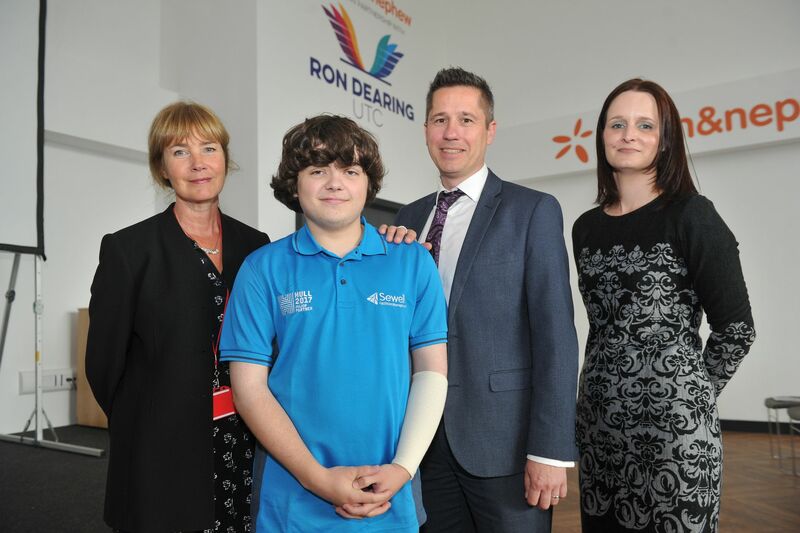 Mr Thomas, from west Hull, has been supported by Mencap since February 2016 and has recently been employed by Sewell Facilities Management as a part-time cleaner at the brand new £10 million Ron Dearing University Technical College (UTC) in Hull city centre. 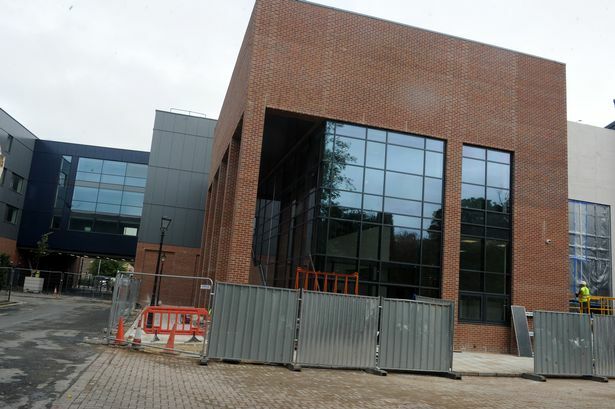 The role comes after Sewell was recently awarded the facilities management contract for the ‘pioneering’ new technical college in the city centre. Josh, who is working as part of Sewell Facilities Management’s on site team at the UTC, said this is his first paid job and he is thriving on the challenge. He said: “I have grown in confidence and self-esteem, and to have a job at the UTC is fantastic because it’s such an impressive building. “I had the support of Mencap throughout the whole process, which was really helpful, and I completed the interview myself. “I want to have a lot more confidence in the world of work and people with hidden disabilities need access to work. Since I was referred to Mencap, I’ve never looked back. Alongside Josh, Elliot Parkinson, 21, from west Hull, and Danielle Sunley, 25, from north Hull, have recently joined the Sewell Facilities Management team as cleaners at Endike Academy in north Hull and Freetown Court in Hull city centre respectively. The charity received funding from Talent Match Humber to look at work opportunities for the young people. Since the collaboration between Sewell and Mencap, the charity has noted positive changes in the young people, seeing them grow in confidence and self-esteem. Kerrie White, locality manager for Mencap, said the partnership between Sewell Facilities Management and Mencap is proving to be a huge success. She said: “Coming together with Sewell Facilities Management has been crucial for us in terms of showcasing what a really good, inclusive employer is, and to show just what people with a learning disability are capable of. “This partnership means the world and makes perfect sense because we want to align ourselves with a company that shares our vision of getting more young people with a learning disability into work. Martin Stead, managing director at Sewell Facilities Management, said: “We employ from the communities for the communities we serve and learning difficulties or mental health issues should not be a barrier to this.